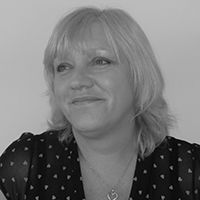 Sharon joined the Newton Fallowell team in early 2013 having previously worked in the local property business for several decades. More importantly though, Sharon has lived in Bingham for most of her life and has watched the town evolve into the beautiful town it is today. Her knowledge of the local area and of the buying-and-selling process is simply unmatched and she is always on hand to offer advice and answer any questions you might have. Newton Fallowell Bingham is a Franchise owned and operated under license by Buttercross Properties LLP trading as Newton Fallowell, Registered in England Number: OC380203 Registered Office: Cranmer House, Market Place, Bingham, Nottinghamshire, NG13 8AN. Buttercross Properties LLP is a Franchisee of Newton Fallowell Limited and not a subsidiary or sister company. VAT registration number 151370439.